Store and display your Cuisinart cookware within easy reach. Cuisinart is pleased to offer an exciting new variety of specialty pieces of Chef's Classic Cookware that make everyday cooking tasks a pleasure. New wall-mounted racks offer easy storage of cookware. 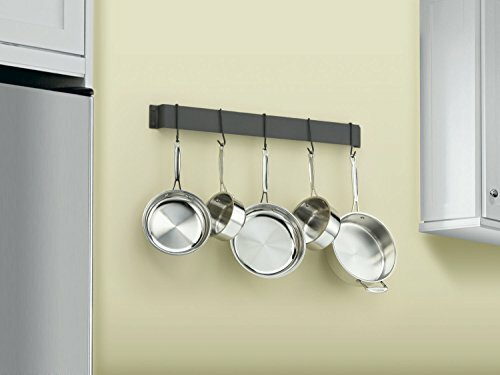 The bar wall model fits neatly against a wall to preserve open space while providing quick and easy access to cookware.